It has been less than 48 hours since Matt Janning beat the buzzer with a three pointer to give Anadolu Efes a win over Real Madrid but the two teams clash once again at the Abdi Ipekci Arena. To be fair, the attitudes going into this game will be the exact same as the attitudes that were on show going into Game 4. 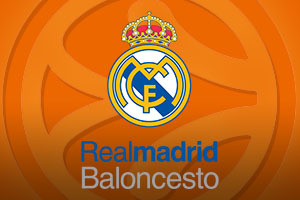 Real Madrid knows that if they can win this game, they will be in the Final Four, which is being held in Madrid. It has been a considerable period of time since Madrid won the Euroleague, and even though that cannot be blamed on the current squad, there is an air of expectation placed on them. Anadolu also know that the same story exists for them in this game. The Turkish side has to win because if they don’t, their Euroleague dreams are over for another season. A win will tie the series at 2-2 and will see that series being decided next week in Madrid. At the moment, that is all that Efes can ask for but if they are looking to visit Madrid in May, they need a result that will see them visit Madrid next week. If you have been following the three games, you will have recognised a pattern. Efes have managed to force themselves into a double digit lead in every game only for Madrid to rally back in them all. In Game 3, Anadolu were 13 points ahead but with 7 seconds to go, Jaycee Carroll squared it at 72-72. The momentum may have been with Madrid but this was when Matt Janning stepped up once again (as he did throughout the second half, delivering 19 points of the total 21 points he scored in the night) and this kept the series alive. While the focus falls on Janning for his late shot, the key for the win for Efes was the fact that they controlled the glass, with Dario Saric particularly impressing with 15 rebounds. Madrid will not be happy at only scoring 72 points and you can expect them to work harder to get points in this one. There is a chance for them to end the series and head to Madrid in comfort, without having to worry about another game next week. Bwin is pretty confident that Madrid will win this game, as they have Money Line odds of 1.53 for Los Blancos and odds of 2.60 for Anadolu Efes. With respect to the handicap, taking Real Madrid with a -4.5 handicap, with odds of 1.87 looks like being a decent bet. If you are looking at the Over/Under market for this game, you should be looking to go OVER 155.5. 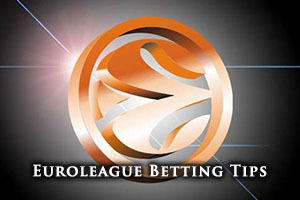 With Madrid available at odds of 1.05 to win the series, there should be home representation in the Final Four in May but you can bet that Efes will work hard to ensure that this isn’t guaranteed this evening. Bet Now!